How you change your experiences - you change your world. 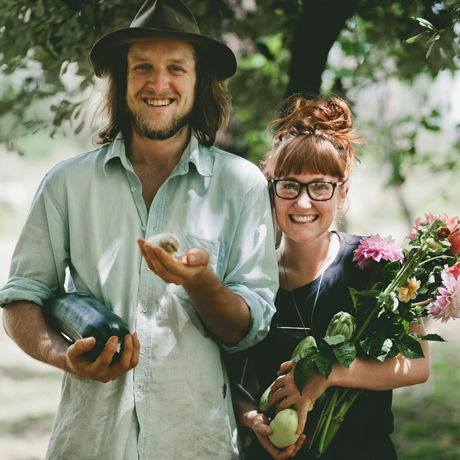 Lentil and Matt Purbrick of Grown & Gathered are passionate about real, pre-industrial food, farming and life practices – things how they used to be. They educate, advocate and believe in real sustainability and making change for a positive future. They run a waste-free farm growing vegetables, fruits and flowers; forage wild foods; trade without money whenever they can; eat seasonally; raise animals and produce nourishing, traditional foods including raw milk cheeses, long-ferment sourdough breads, pickles and preserves. Matt and Lentil have bravely chosen a path that ‘treads lightly’ on the world we inhabit, one where hard work achieves simple pleasures.